The position of the month for March is going to be mount, following nicely from February's focus on side control. Dónal had some interesting technical choices tonight, as they weren't what I was expecting. At first I thought he was going to do escapes, as he demonstrated the person on the bottom framing against the hips and go for an elbow escape, then pull their knee through. The class drilled that briefly (in keeping with recent weeks, Dónal asked me to help out with teaching rather than get stuck in the drilling, because there were even numbers), but did not progress to the full elbow escape. Instead, it turned out that the idea was to get the person on the bottom to give the person on the top the right reaction for a method of maintaining mount. Dónal began by showing how you want to block their shoulder as they try to turn, dropping your upper body and then hooking their head. That will mean they can't shrimp and it also means you can trap one of their framing arms under your body. If they've committed to the frame, you can also attack their neck with an ezequiel choke. Next up was another surprise, as I thought Dónal was going to show the technical mount switch when they turn to the side. Instead, he went for something similar but less orthodox. As they push into your leg and start to escape, Dónal suggested you pivot on that knee and flick the back of your leg, hooking their opposite side hip with your foot. 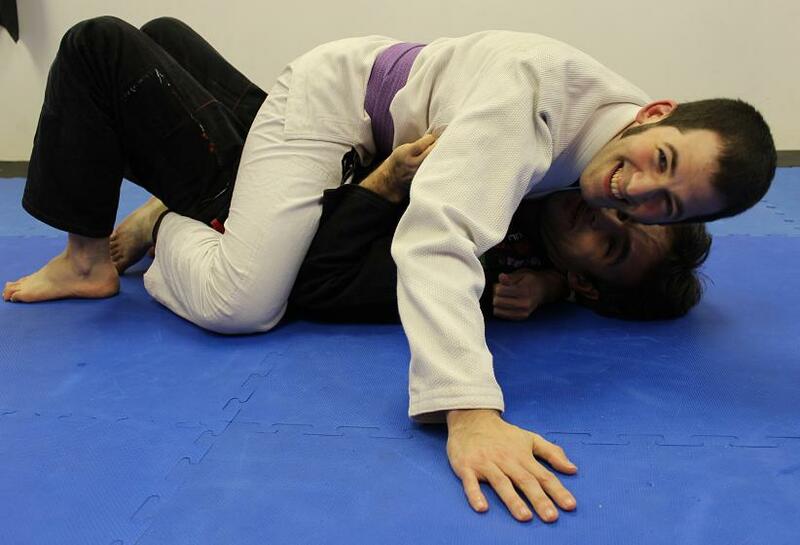 You can then shift to side control on the other side, possibly even taking their back. This is mainly an option for when you feel you are about to lose the mount, as going to side control is better than getting reverse. I got in a bit of sparring at the end, which gave me a chance to play with my mount escapes (I was using my usual heel drag, also trying to give the person on top a chance to practice). On top, I'm still not very good at getting the finish, though I'm at least feeling more comfortable moving up to a higher mount. I need to make myself keep moving up and then moving into the series Dónal showed in that private lesson from a while back, along with technical mount switching into bow and arrow.